The key to perfectly replicating your piece of art begins with the molding process. 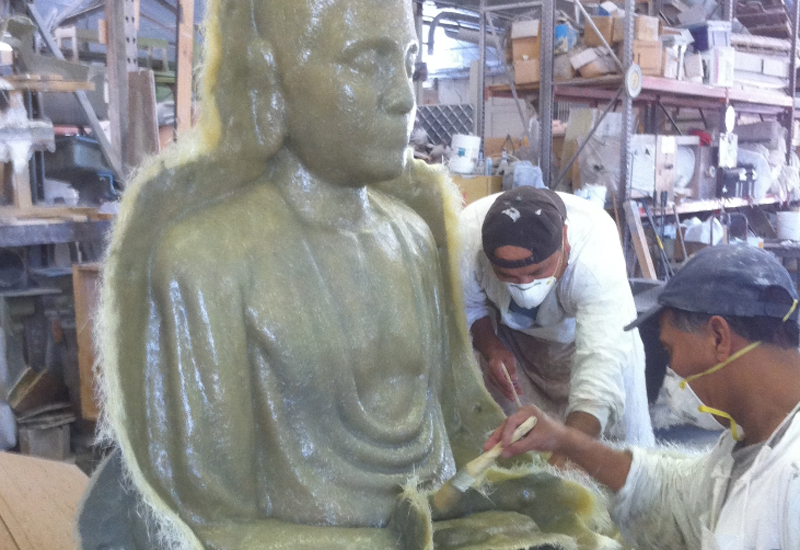 Without a perfect mold, it is much more difficult to create a stunning piece of art. We ultimately pride ourselves on our mold quality, whether it be the top tier mold rubber and jacket material used or our ingenuity when approaching your sculptural problems. Techniques employed range from milled hard molds for injection capabilities to matrix style platinum cure silicone molds with fiberglass jackets. In contemporary art, artists are bound by no material. At MFA we understand this fact and are ready to employ any means necessary-whether life casting, direct burn, cnc technology or traditional rubber molds.